Published on August 27, 2013 August 27, 2013 by T.W.O. When in Rome, you eat pasta. 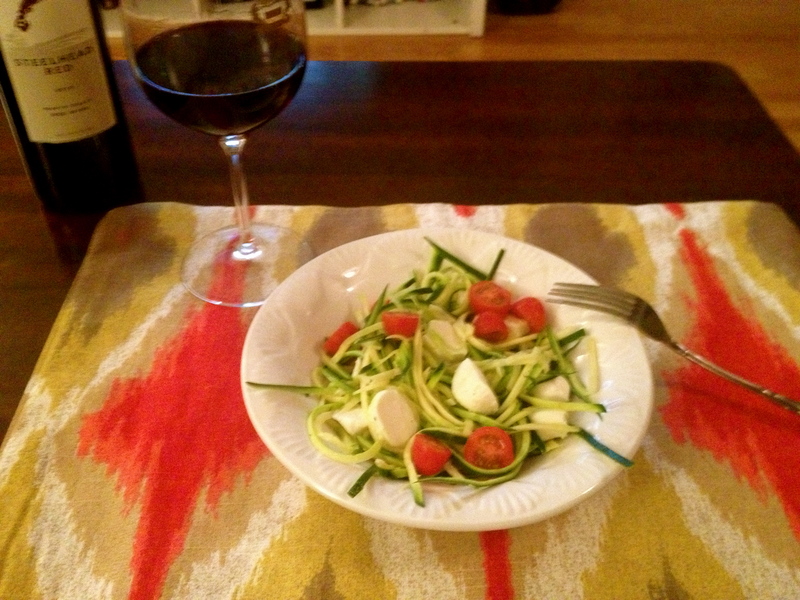 When cooking with T.W.O, you make zucchini noodles! This is such an easy dish that can be transformed into a snack, a summer salad or an entrée. 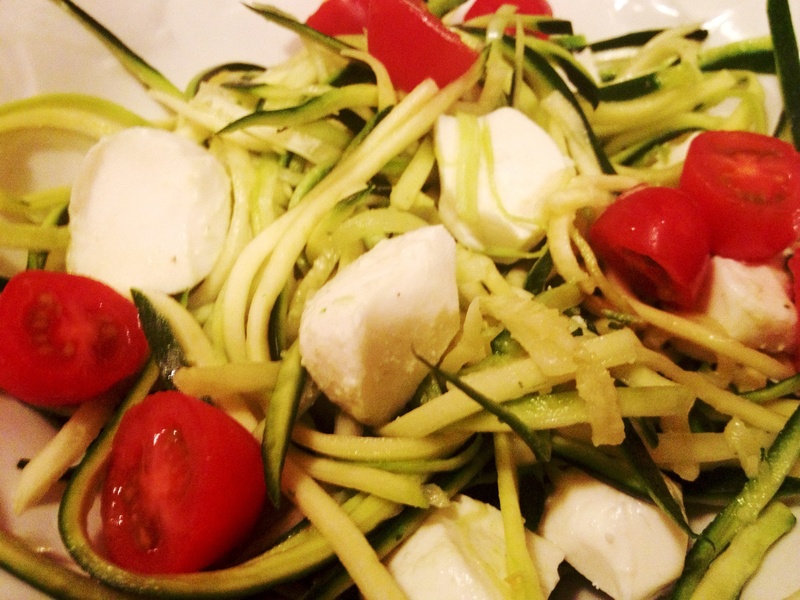 The most important part of this dish is the peeler….a julienne peeler! 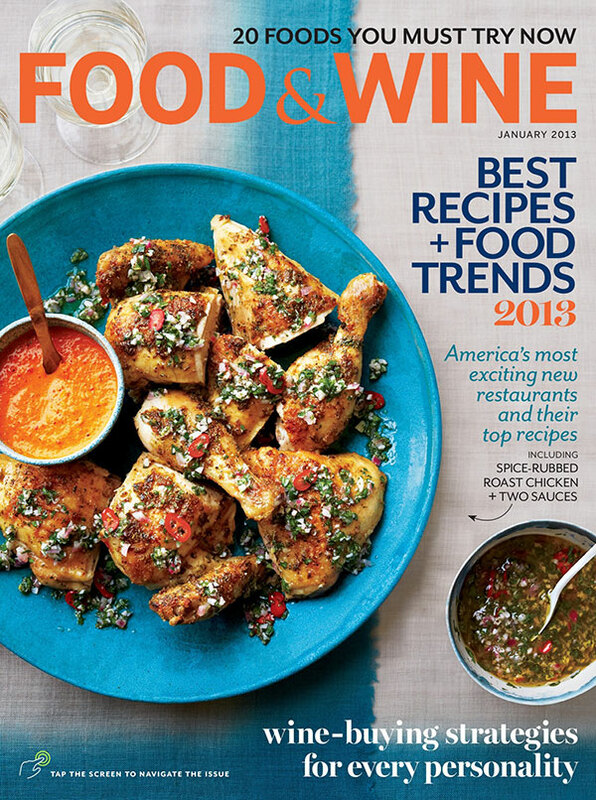 You can find it at SUR LA TABLE or even TARGET. 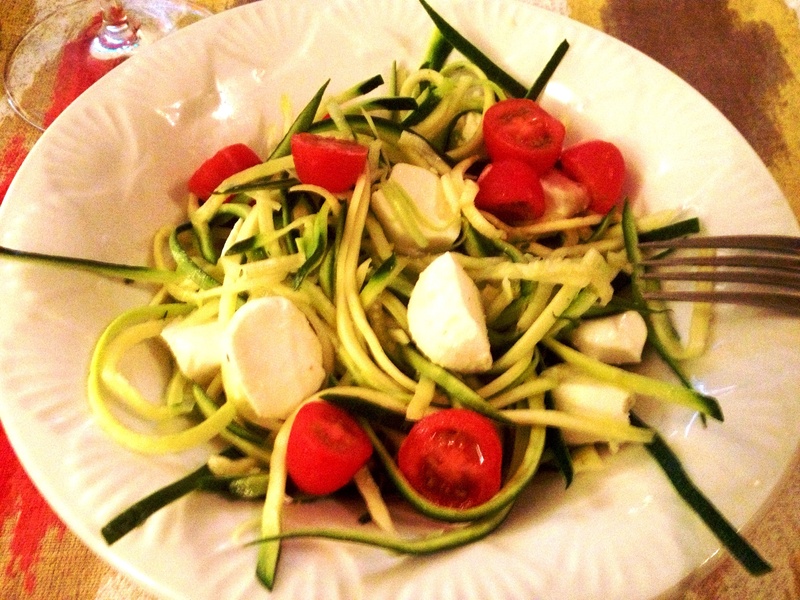 After washing the vegetables, place the zucchini flat on a cutting board. Hold with one hand the top of the zucchini that is furthest from you, while holding the zucchini peeler in the other hand. 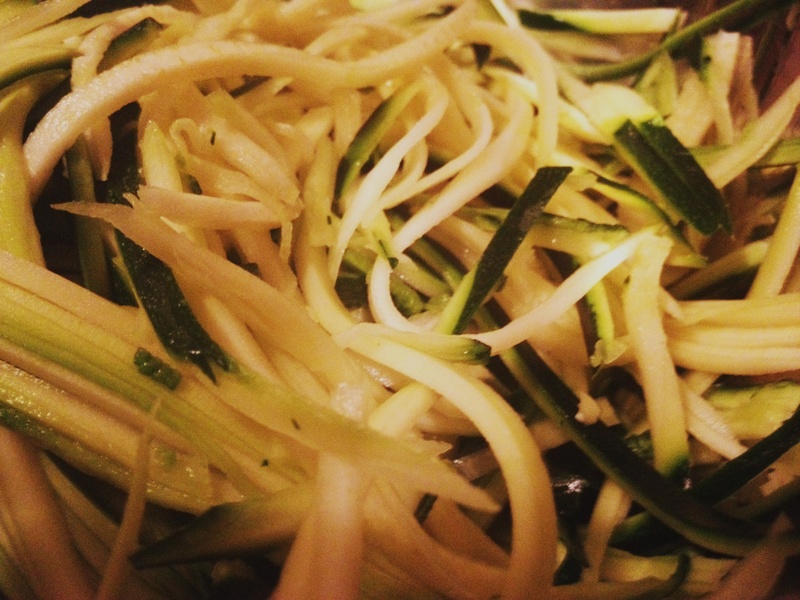 The key to creating “noodles” is to peel the zucchini using only one stroke. 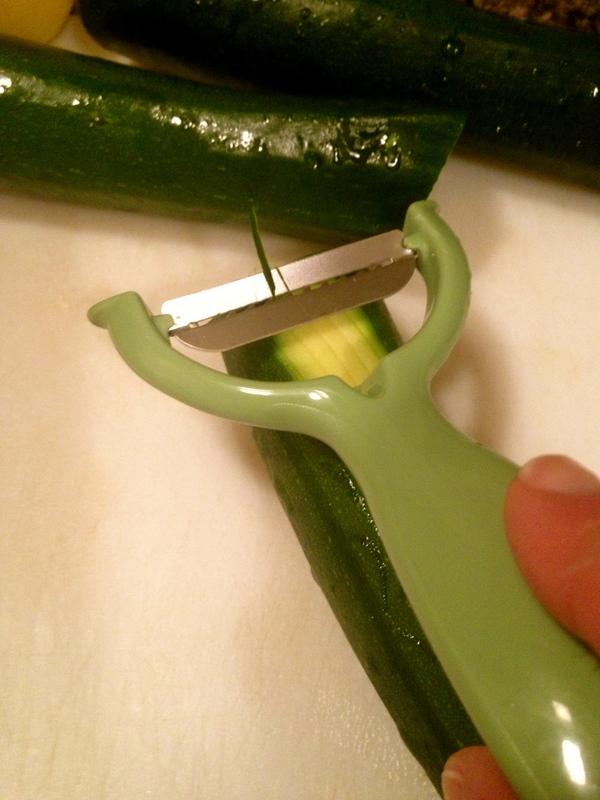 From top to bottom, peel the zucchini in a straight line. This will form your perfect “noodles”. Continue until the zucchini is all peeled. Place all the “noodles” in a bowl and add lemon juice, diced garlic, olive oil and Crazy Salt to your desire. Let the noodles marinate for about 10 minutes. Add the mozzarella, tomatoes, and basil to the noodles. Finish the dish by drizzling the noodle mixture with balsamic vinegar. Now it’s time to enjoy this tasty, light summer salad poolside!